The Youth of the four Eparchies, comprising of 550 delegates came together for the occasion, which was the first celebration of the National Youth Day of its kind in the history of the Church in Eritrea. 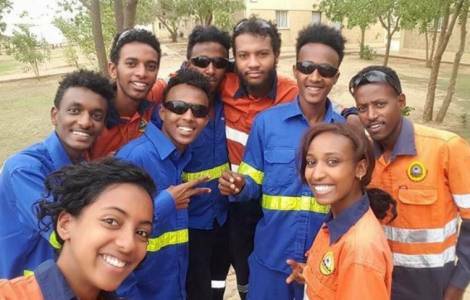 As reported to Fides by the local Church, distance, economic strains, and Government policy are some of the obstacles that prevented young Eritreans from taking part in World Youth Day celebrated at the end of January 2019 in Panama. Given these circumstances, the National Pastoral Office wanted to organize the event at a national level in February. The importance of the event was evidenced by the presence of the Apostolic Nuncio of Eritrea and Sudan who is now appointed to Kenya, Mgr. Hubertus Matheus Maria van Megen. He delivered the message which Pope Francis gave to the World Youth in Panama, which made the Eritrea Catholic youth feel part of the world youth: “Pope Francis loves you, the beautiful people of Eritrea. Your faith is in your blood and in your soil. He often asks me about you and he prays for you since he understands your situation”, said Archbishop van Megen. Mgr. Abune Fikremariam Hagos who attended the Youth Synod in Rome last October took the opportunity to share his experience at the Synod and how the church “wants to help the youth grow in faith and in discerning their vocation”. The WYD celebration was concluded with the Eucharistic presided by Archbishop Menghesteab Teasfamariam together with the Apostolic Nuncio, the Bishops, and several other priests. “The Youth of our time too must be obedient to their parents, just as Jesus, despite being God, listened and asked questions to the elderly and to the priests. Following his example, all the youth should learn to listen to the wisdom of the elders and ask questions so as to know more, without blocking themselves and say: I know everything”, said Mgr. Menghesteab during the homily. As a result, the young people expressed their gratitude to Pope Francis and promised to continue to pray for him and the Church, as well as expressing their hope and deep desire that one day, Pope Francis may visit Eritrea.